As a former Congressional adviser in the U.S. House of Representatives, Raghib served as a leading resource and subject matter expert in areas such as the Environment, Natural Disaster Response, Energy, Foreign Policy and LGBT Rights. He has drafted environmental protection legislation that received bipartisan support, served as a lead staffer in efforts to secure Low Income Home Energy Assistance Program (LIHEAP) funding and has testified before the U.S. Commission on Civil Rights regarding environmental justice issues. He has led bipartisan efforts to address regional disparities in HIV funding and has authored documents on the role of environmental justice as it relates to disaster preparedness. In 2016, Raghib heeded the call to return home to Bethel, Connecticut and run for public office. He ran as the Democratic candidate for State Representative in Connecticut’s 2nd District, losing by a small margin in a Republican stronghold during the wave of 2016. Raghib was not discouraged by his electoral loss and has, in fact, redoubled his efforts and commitment to his community, finding new ways to use in talents in support of important causes. As part of that effort, Raghib was elected vice chair of Bethel’s Democratic Party where he helped flip the town’s board of finance seats into Democratic control in 2017. He is an active board member for three Connecticut organizations: the Connecticut League of Conservation Voters, Triangle Community Center, and Vice President of the HERO Project which brings awareness and resources to the opioid epidemic in the Danbury area. In addition to his extensive community and organizational commitments, Raghib successfully maintains a demanding day job as a grant writer for small businesses at Pastore & Dailey LLC in Stamford. 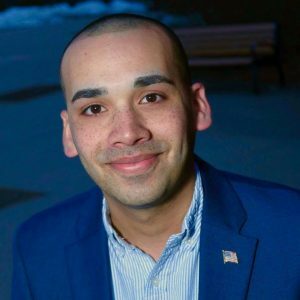 Raghib’s commitment to serving his community has led him to recently launch his campaign to represent the 2nd District in the Connecticut State Assembly. The Town Committee meets on the third Monday of each month, at 7:30 p.m. at the Bethel Municipal Center. © 2015 BDTC, All rights reserved.